Spectacular Ocean Front Home with Incredible Ocean Views and located in the prestigious Whalehead Club ! PRICE REDUCTION of $401,000!! A Quality Custom Built 11 Bedroom Home that has all the amenities you can imagine with 8 Master Bedrooms, & Strong Consistent Rental Income of 13% GRI. 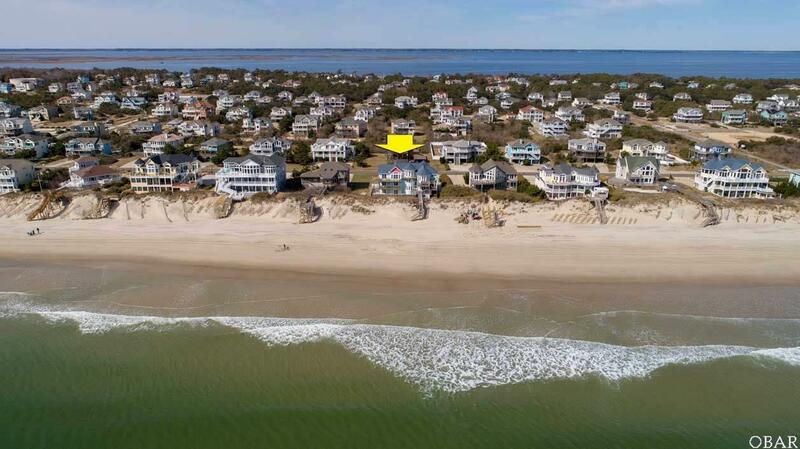 This home Features Hardwood Floors, Wainscoting, Granite Kitchen Counters, Upgraded Cabinets, ELEVATOR, Media Room, Ships Watch, Huge Super Fun Game Room, Amazing Dune Top Deck, 2 Hot Tubs and large Pool area with Cabana and Tiki Bar. 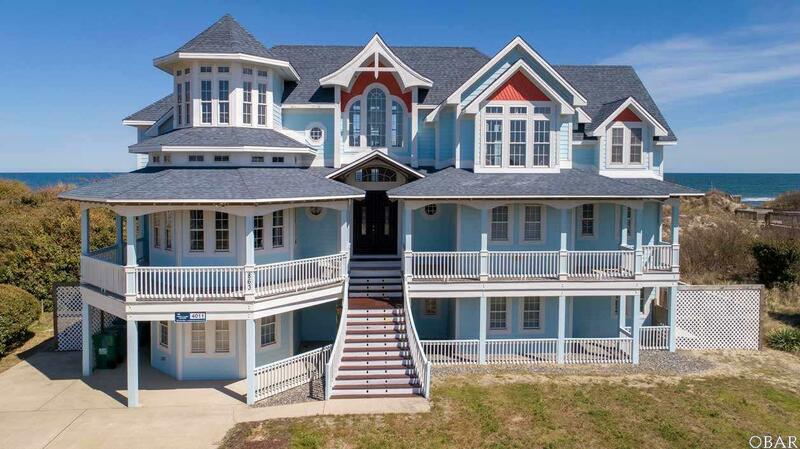 Top Floor is spacious and open for all to gather with breath taking Ocean Views through out. The Top Level has Living Room with Hardwood Floors, Cathedral Ceilings, Gas Fireplace, inviting Dining Room, Upgraded Kitchen with Granite Counters, 2 Dish Washers, 2 Refrigerators, 2 Ovens, and Walk In Pantry, Office Area, Entertainment Area, Wet Bar, Ships Watch, Master Bedroom with Gas Fireplace, and Sun Decks with 2 Hot Tubs and one Hot Tub over looking the Ocean and Pool. 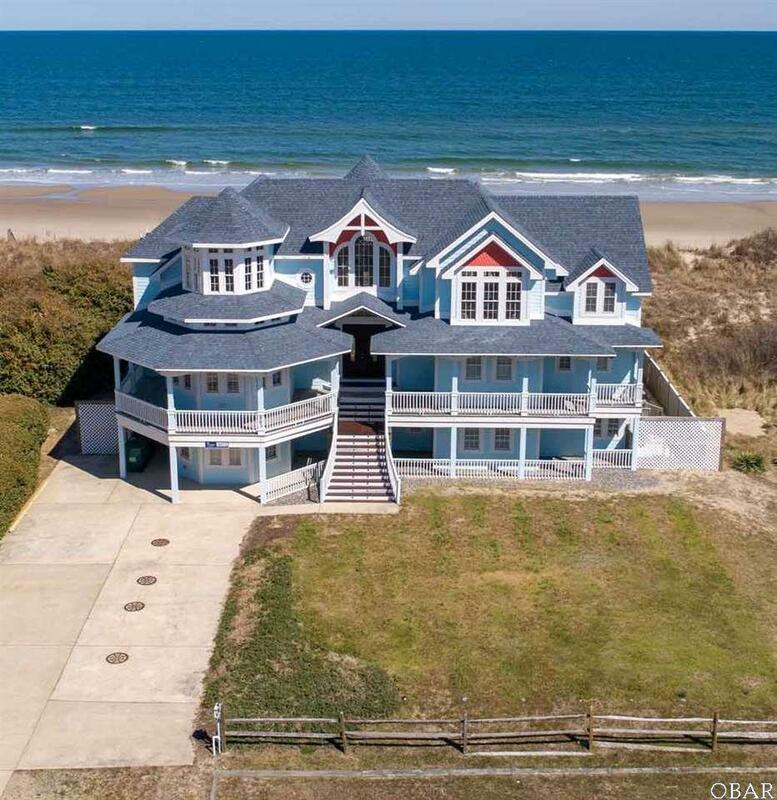 Mid Level features impressive Entry Foyer, Media Room with Wet Bar, 5 Master Bedrooms of which 2 have Gas Fire Places, Most Bedrooms have access to decks, DUNE TOP DECK and your own PRIVATE WALKWAY to the BEACH. Ground Level features 5 Bedrooms of which 2 are Master Bedrooms, an oversized Game Room with Sports Bar, Pool Table, Foosball, and Bath with access to outdoor Pool. Relax at the awesome Private Pool Area that includes, Large Pool, Kiddie Pool, Cabana, and Tiki Bar with outdoor kitchen. This well maintained home has just completed replacing the Roof and many Decks. If you are looking for a Beautiful Quality Custom Built Ocean Front Home with Expansive Decks, Panoramic Ocean Views, Consistent Strong Advertised Gross Rental Income at 13 % GRI, with all the amenities that you can imagine, including your own Dune Top Deck and Private Walkway to the Beach, then this is the Home for You. 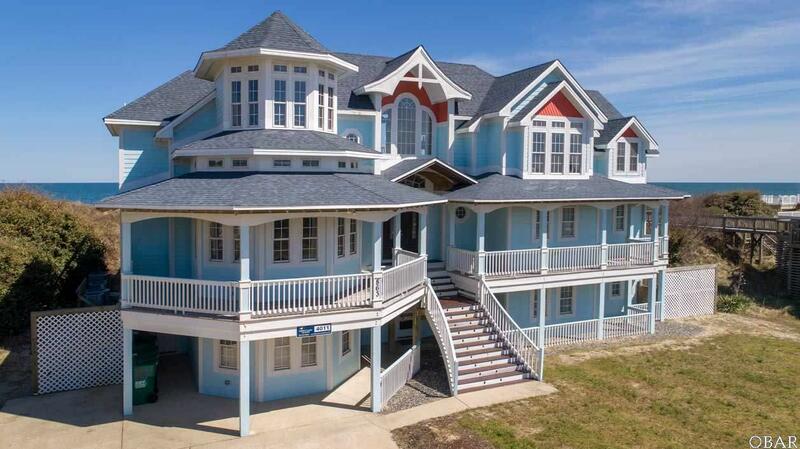 Knockinon Heavens Doors is Coastal Living at its Finest!